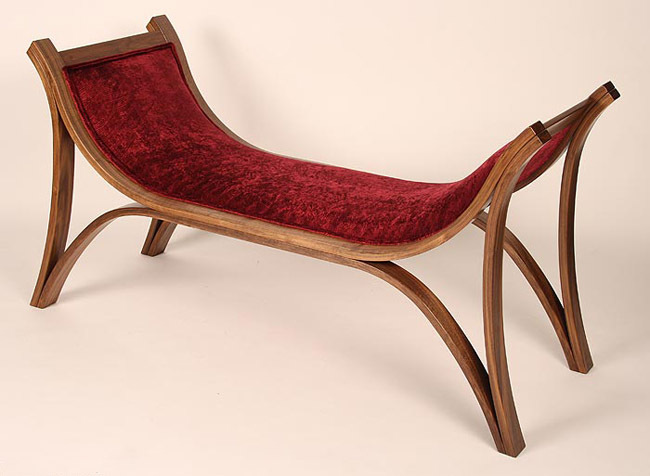 From September 2003 until September 2014 I taught furniture subjects up to degree level, firstly at Rycotewood Furniture Centre, Oxford, and latterly at Leeds College of Art (2005- 2014) as the Programme Leader of the BA (Hons)/ Foundation Degree in Furniture Making programme. Both courses provided students with learning in research and design development, traditional craftsmanship allied to modern computer technology and programmes including AutoCAD and CNC production along with guidance on business practices. Each course provided graduates with the essential skills and knowledge, if they wished, to progress to a range of successful creative woodworking and related professions, from makers, to creative design practitioners, to management roles, to starting and running their own business, etc. 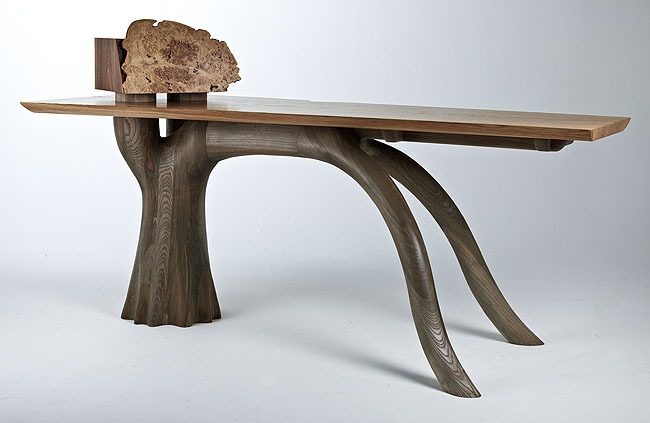 Luke Caley: FD Furniture Making, 2012. Kogata. 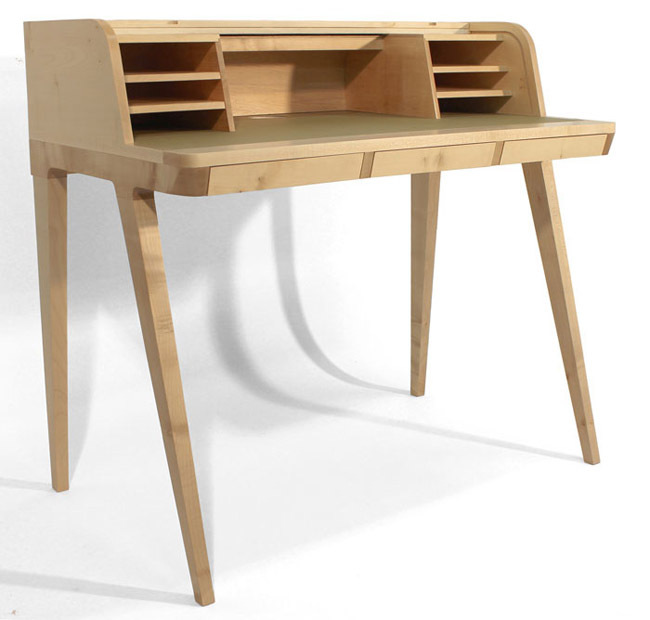 Desk in hard maple with a linoleum work surface finished with pre-catalysed lacquer. Skube. 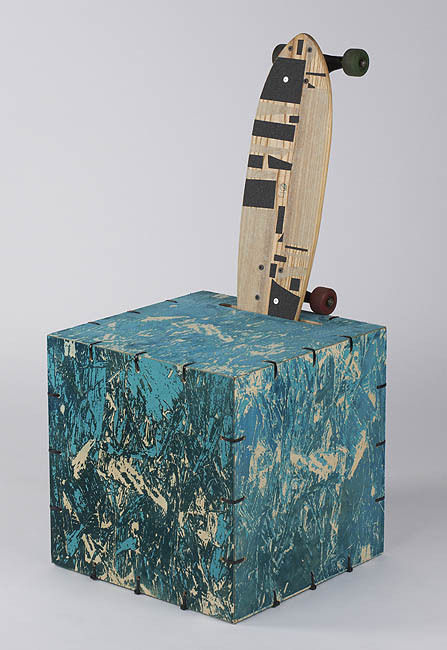 Flat pack self-assembly screen printed stool or seat incorporating an owner's skateboard as a backrest. Birch plywood, cable ties and lacquer. Tansu inspired cabinet in MDF, plywood and solid wood finished with buffed pigmented AC lacquer, paint, and clear lacquer. Child's Bed. Hard maple, European oak and padauk, finished with wiped on polyurethane varnish. Nick Hartley: BA (Hons) Furniture Making, 2012. 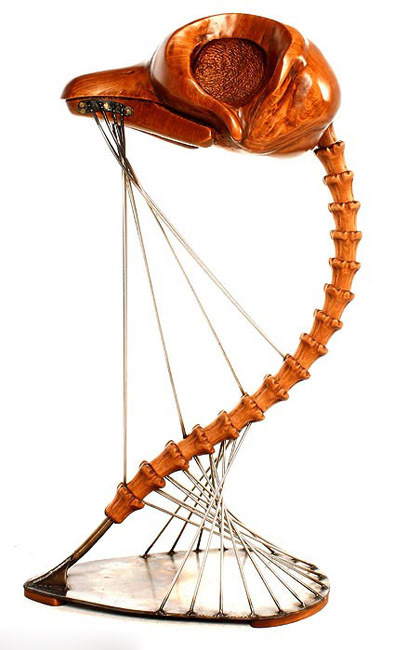 Stool Pigeon (Non Ordinarium Cathedra). Reconstituted American cherry, stainless steel finished with wipe on varnish. Cabinet on Stand. European Oak, African mahogany, varnish. Hŷgge Sofa. European oak, upholstery, Danish oil. 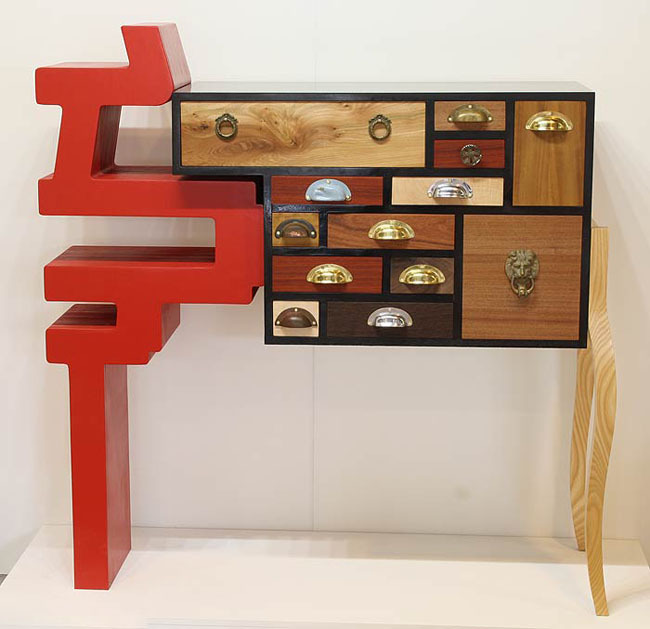 Brishan Mellor, BA Hons Furniture Making, 2014. Rough Water. Hard maple, purpleheart, Danish oil, glass. 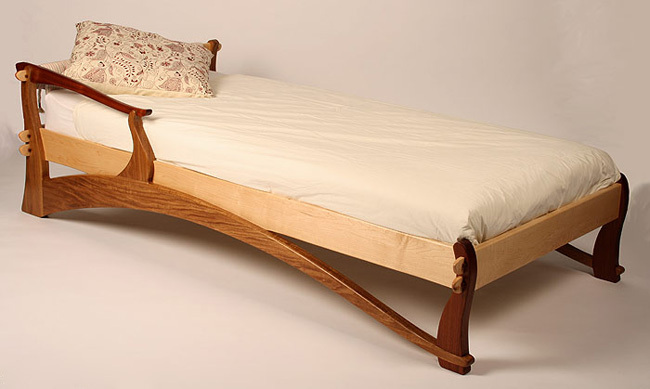 Tom Lancaster: FD Furniture Making, 2009. Sofa. Laminated plywood, ash, upholstery, tinted lacquer. 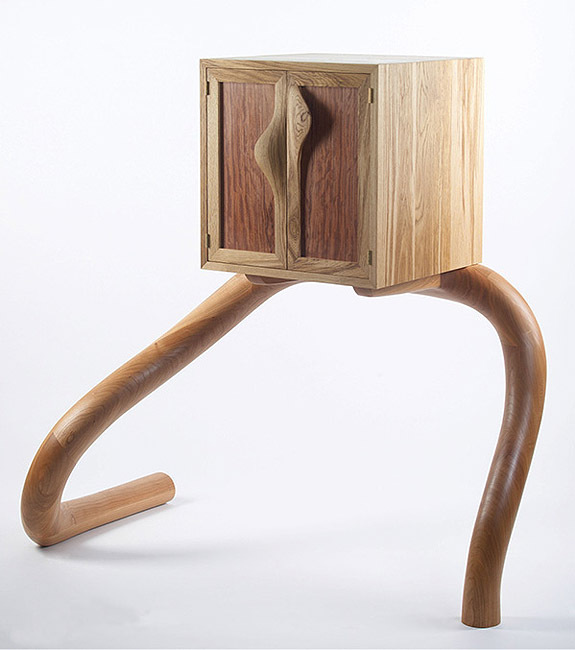 David Guest: BA (Hons) Furniture Making, 2014. Stumpy. Desk and storage. European Ash, American black walnut, burr American black walnut, oil varnish. Continuum. American cherry, European ash, mahogany veneer, oil varnish. Omni. 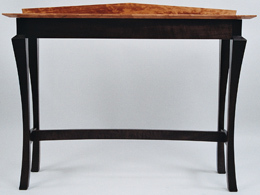 Desk in American black walnut, European ash, wiped on oil varnish. Gareth Edwards: BA(Hons) Furniture Making, 2014. Order Out of Chaos: American cherry, hard maple, Osmo Polyx® oil. Max Eastwood: BA (Hons) Furniture Making, 2011. 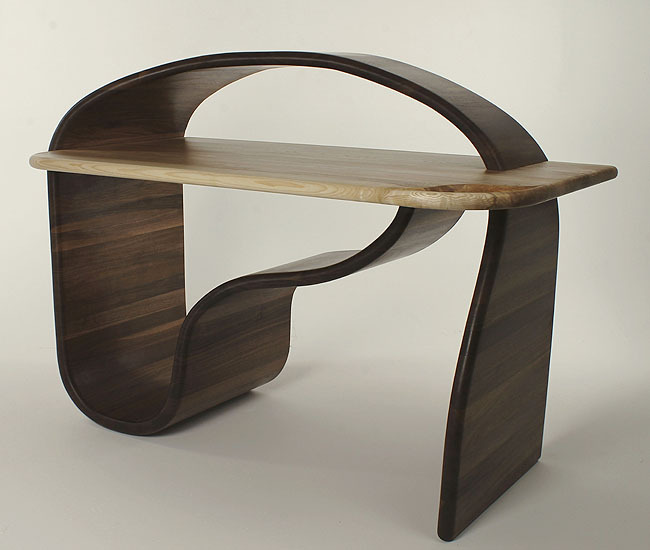 Desk: American ash, sculpted plywood, lacquer. 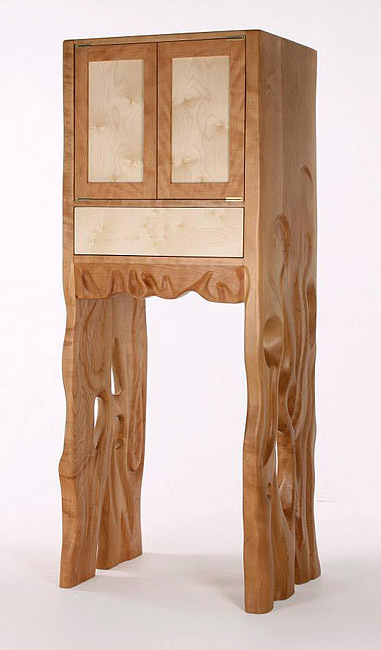 Matthew Robinson: BA (Hons) Furniture Making, 2012. Fusion. American black walnut, hard maple, lacquer. 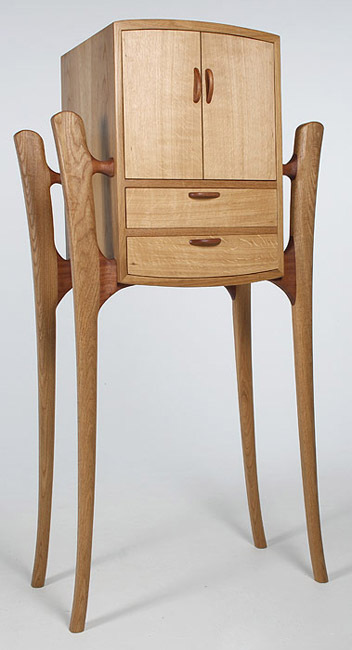 Richard Poor: BA (Hons) Furniture Making, 2012. Lamp Table. 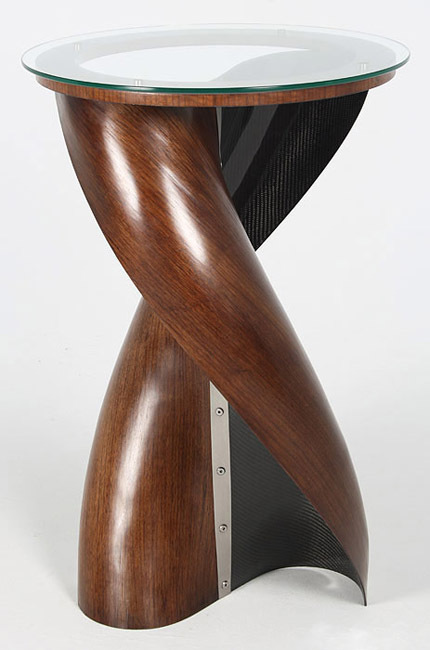 3d walnut veneer, carbon fibre, glass, lacquer. 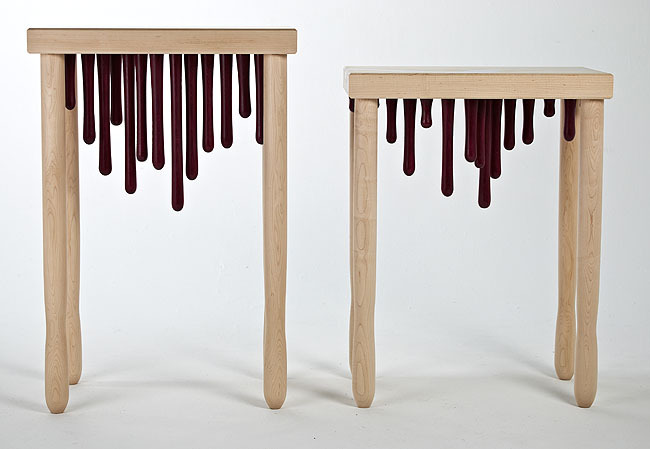 Linda Terrill: BA (Hons) Furniture Making, 2014. 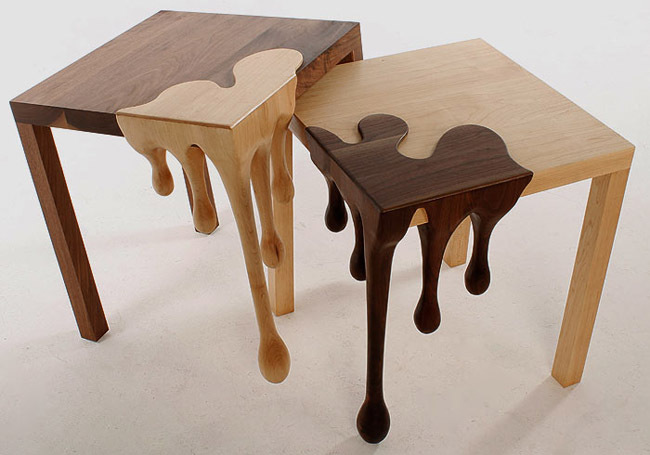 'Drip' Side Tables. Hard maple, padauk, resin, lacquer. 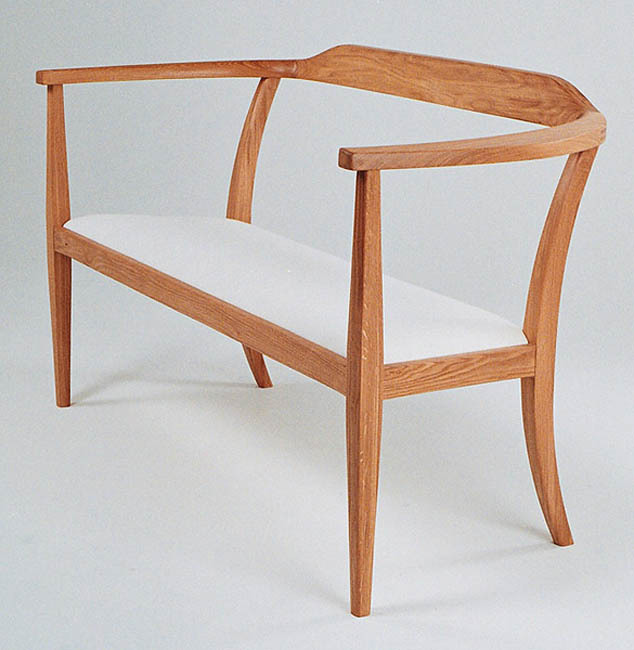 Séarlait McCrae: BA (Hons) Furniture Making, 2014. Leaf. Ash, ash veneers, aniline dyes, lacquer. Liz Nutbrown: BA (Hons) Furniture Making, 2012. Window Seat. Laminated American black walnut, upholstery, lacquer. 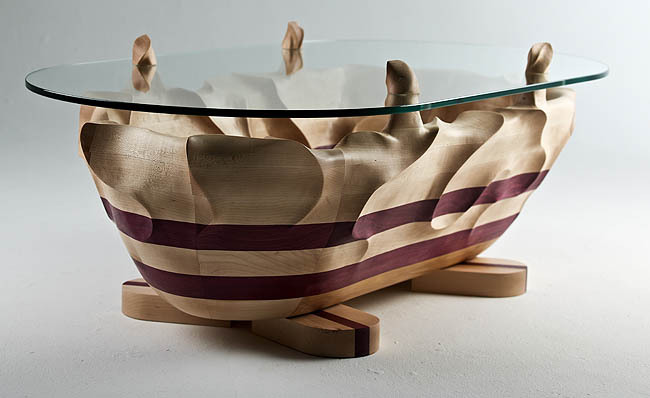 Coffee Table. 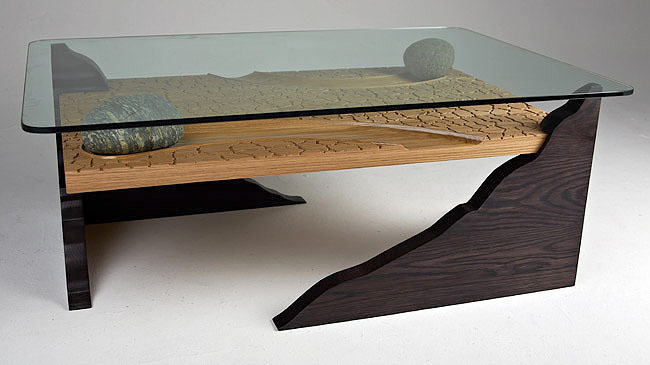 European Oak, fumed European oak, glass, CNC carving, rocks, lacquer.